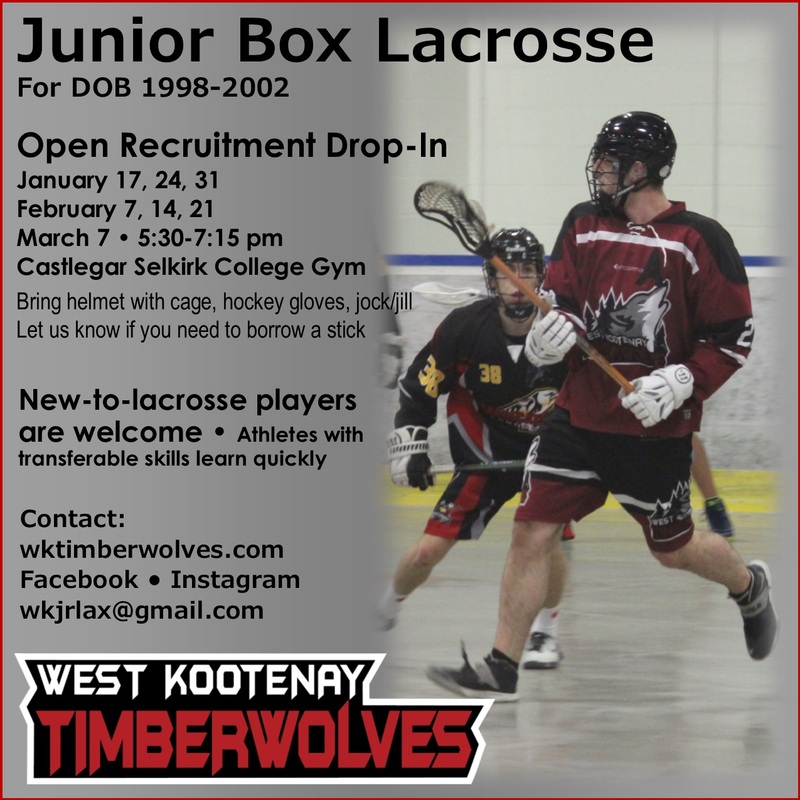 The West Kootenay Timberwolves are looking for players for the 2019 season. Join us on Thursdays to get in shape for the season, or to see if you like it enough to join the team. No lacrosse experience required. Open recruitment camps are free but players/guardians need to sign a waiver from BC Lacrosse Association. Lacrosse season is from early March to early July. Home arenas are Rossland and Castlegar.